Let’s take a quick tour at how the new version works. Well, not so old. 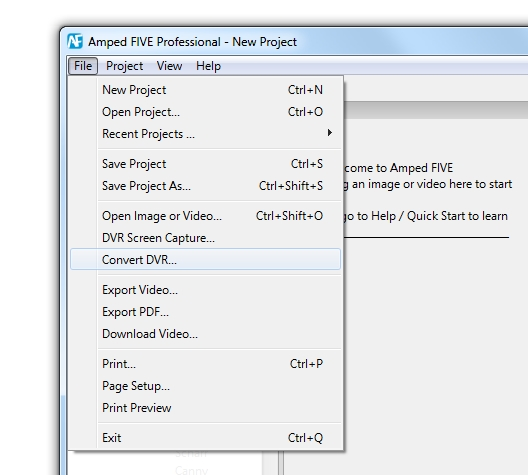 We introduced in Amped FIVE the possibility to work with proprietary video formats a couple of years ago and constantly refined and improved it. You already know how it worked. You could choose different options from the file menu to simply rewrap the proprietary files into an AVI (no reencoding). For the formats which didn’t support this, you could convert it to Uncompressed AVI or MP4. If you clicked yes, a simple rewrap was tested and, in case the format was supported, it could be opened in FIVE. For the user, this is really simple, but of course the complexity is on the software development side. 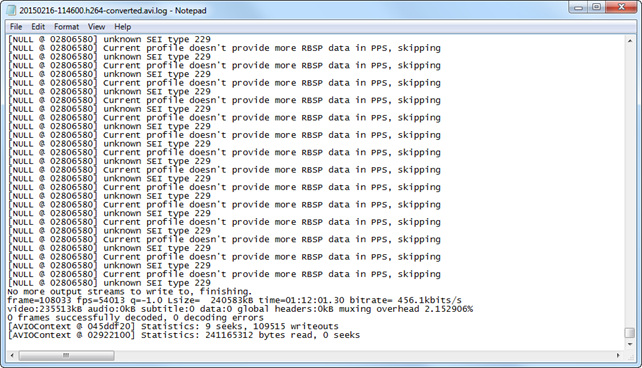 I am looking at you, FFmpeg geek: -vcodec copy is not always enough. Often there is much more done on the backend than a simple command call. Or even better, just drag a proprietary file into the FIVE interface. You now have two options: you can choose the conversion settings or just apply the last ones that you have used. But this will lead to a wealth of new configuration possibilities. The Input File to convert: in case you have just dragged a file this is automatically filled. 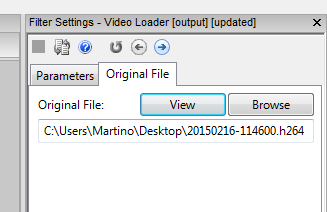 If you called the Convert DVR from the File menu, you can just drag a file here from Windows Explorer, too. The Output File: this is the original path, with the suffix –convert appended, but if you want you can just rename it as you wish. The next option, Files to Convert, is the one which may potentially save you hours: choose if you want to convert only the selected files or all the files with the same extension found in the same folder. The option Conversion Type, too, is very important, and it allows you to choose whether to transcode the file or to rewrap it into a standard file with no transcoding. Try to call the function “DVR Change Container to AVI” to preserve the current encoding and putting the stream into a standard AVI. If this didn’t work, convert it to an uncompressed AVI file with “DVR Convert to Uncompressed AVI” or to an MP4 file (compressed) with “DVR Convert to MP4”. With the Conversion Type parameter you can now simply let the software do this for you with the option Copy Stream if possible, or else Transcode. Of course, if you want just to force copy the stream or transcode a video to MP4 you can use the other choices. The next tab, Copy Stream, shows the settings to use when attempting to copy the stream into a standard file. You can choose AVI, which is the most compatible container, or MP4, which is recommended only for MPEG4 or H264 codecs. Again if you prefer to use MP4 when possible and fallback to AVI for codecs which don’t work well with MP4, you can set the option MP4 if possible, or else AVI. In the next tab you can check the settings for the Transcode case: here you can configure the Output Format, and the audio and video codecs. And finally the Advanced tab, where you can customize additional features of the tool. First of all, what does the parameter Autodetect Settings do? By default, if it is set to Yes (Overwrite Current Settings), every time you load a new file it will evaluate the suggested settings for that file. If you want to force some custom settings you have applied from the previous file instead of the suggested ones, you can just set this to No. Overwrite Existing File will overwrite existing files as expected if set toYes. If set to No, it will just skip any processing (even if the settings are different) if it finds an output file with the same name. Conversion Program will allow you to select which backend to use for the conversion. You can choose between FFmpeg, MEncoder and AVConv, but in general we recommend to leave the automatically detected option, since not every format will work with any of those. We normally use FFmpeg when possible, MEncoder when we need to convert the file using system codecs and AVConv for the cases when FFmpeg should work but fails. AVConv is a fork of FFmpeg but normally it’s less strict in parsing the data so it would work on some additional cases where FFMpeg is rejecting the file. It is also usually more buggy, so it can lead to some issues. The Concatenate File option, allows you to merge all the files before or after the conversion in order to have a unique big file instead of several small ones. When needed, this parameter is applied automatically by the autodetected settings, for example there are cases when the conversion is possible only if you concatenate multiple files before it. But you can also manually specify it if you need. Open File: opens the file in the default media viewer set on your system (may be Windows Media Player, VLC, or whatever you have set as default). 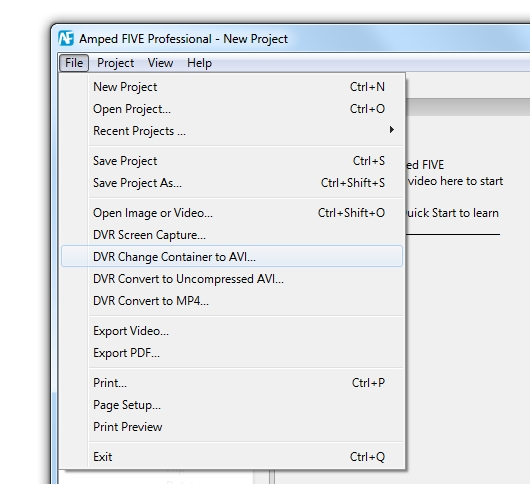 Open in FIVE (default): open the converted video in Amped FIVE. Open Folder: open a Windows Explorer window at the location where the file has been generated. Note that if you choose Open in FIVE: this will create a new Video Loader, which will also keep the reference to the original file. As always, FIVE keeps track of everything you do to a file, from the conversion to the final result. The last parameter, File to Open, allows you to choose if you want to load the first or the last file in case of a batch conversion. In case of a single file conversion it doesn’t do anything. The conversion process also saves the log of the conversion in a file with the same name and location of the output file, but with the extension log (no, I am not using Notepad usually ;), I prefer Sublime Text). If your support plan is still active you are entitled to download this update. Otherwise please contact us to renew your license. The latest update contains also a lot of new functions and improvements, and will be the topic on the next blog post.